Increased competition, strict environmental regulations, and an immigration audit may be responsible. After 83 years of operation, Pacific Steel Casting, one of the few remaining metal foundries in the Bay Area, is closing. Dozens of workers will lose their jobs. The decision was announced to employees at the facility earlier today, an anonymous source told the Express. City of Berkeley officials confirmed the plant's closure. Calls and emails to Pacific Steel and its parent company Speyside Equity went unreturned. But in a letter hand-delivered today to the City of Berkeley, Pacific Steel’s President Krishnan Venkatesan, wrote that the closure will be final as of Dec. 17. Former Oakland City Councilmember Ignacio De La Fuente used to represent workers at Pacific Steel, who belong to the Glass, Molders, Pottery, Plastics & Allied Workers International Union. "To me it’s a tremendous loss," said De La Fuente. "It used to be, back in the day, jobs at Pacific Steel or ABI would provide a good way to make a living for workers and their families, with medical benefits and pensions. Everybody thinks the tech industry is going to replace all those jobs. I disagree with that." Calls to the Glass, Molders, Pottery, Plastics & Allied Workers International Union were not immediately returned. De La Fuente said about 70 workers are still on the payroll at Pacific Steel, which is located at 1333 Second St. in West Berkeley. He blamed a number of forces for the plant's closure, including competition from cheaper labor markets like India and China, strict environmental regulations, and an immigration audit that hit the factory hard six years ago. In 2011, the federal Immigration and Customs Enforcement agency audited the plant and found many of its workers were undocumented immigrants. The company was forced to lay off about 200 workers as a result. Afterward, company executives said the layoffs damaged the factory's productivity because they lost about one-third of their workforce. Then in January 2014, the company was forced to settle a lawsuit alleging that employees had been cheated of pay. It cost Pacific Steel about $4.5 million. 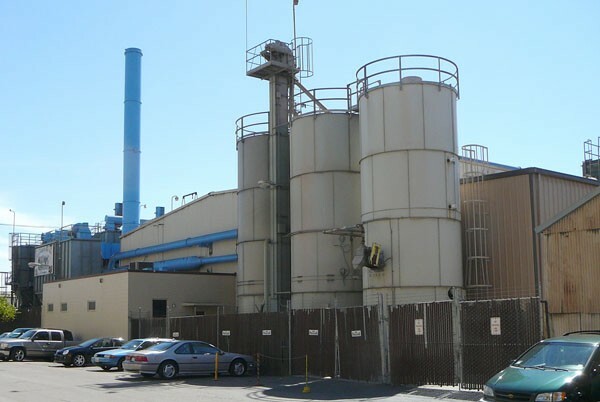 The plant has also faced environmental complaints from Berkeley residents. Facing mounting losses, in March 2014, Pacific Steel Casting filed for bankruptcy protection. The company only emerged from bankruptcy by being put up for auction. Speyside Equity bought Pacific Steel for $11.4 million in July of that year.